I think it's safe to say that many of us played with various action figures of some kind when we were younger. I certainly had my share of turtles and joes and such. You might've even come up with games using those figures. 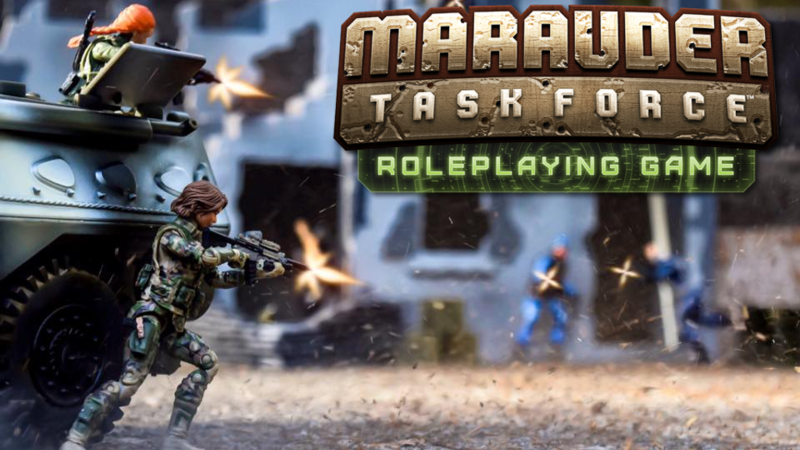 Well, Marauder Task Force is much like those games, but more playtested and refined, complete with their own line of customizable action figures. The game is up on Kickstarter now. A modern tactical combat roleplaying game where you can build your own character with Marauder "Gun-Runners" extensive line of customizable action figures. As you build your own figure using Marauder "Gun-Runners" wide assortment of modular accessories, your build choices determine your character's options for attack and defense. In between missions, you can reconfigure your character's build based on the type of operation with many different accessory options available on the Marauder "Gun-Runners" site. The Kickstarter's about 1/5 of the way to their goal with still 25 days left to go.